Searching for a Home Appraisal in Friendswood, TX? 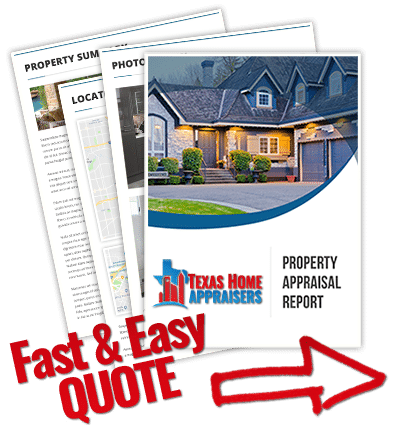 Our Texas certified appraisers are the leading providers of independent residential and commercial real estate appraisals in the Friendswood market area. Our goal is to deliver a fast, accurate and comprehensive appraisal service that meets our clients needs exactly. Not only do we complete our reports faster than most other appraisal firms, we maintain some of the lowest costs for appraisal services in the area. Our staff of appraisers are all local to the Houston area and are competent in appraising for various property types for any purposes including residential, commercial and mixed-use properties. If you have a commercial property that needs appraising our staff of Texas Certified General appraisers can provide you a quote based on the assignment details. Furthermore, our appraisers are able to provide valuation services for any use including lending, private matters, insurance, legal issues and any other situation that requires an accurate and reliable property value. Whether you’re a homeowner or an industry professional, we take pride in deliver a friendly and reliable service. Should you have questions, or do not see the exact service you need, you can use our online contact form or call us directly at the number listed on this page. Getting in touch takes minutes! Just fill out the web quote request form or ring our office and one of our licensed appraisers in Houston will be delighted to discuss your assignment. How are properties compared in an appraisal? An appraiser will review recently sold and actively listed homes in your market area as part of the sale comparison approach. The appraiser will choose the most similar homes and place them in what is known as the comparison grid portion of the appraisal. There, adjustments are made for differences between comparables and the subject property. The purpose of the market approach is to use comparable sales, adjusted against the subject for differences, to determine a reasonable appraisal value for the subject property. What is a Comparable Sale or Comp? Comparables sales are usually those which a buyer would consider instead of the subject property, meaning they should be similar in appeal. The appraisal value is heavily based on the sales comparison approach for most residential properties, making comp selection a very important aspect of the process. Much time is spent by the appraiser searching for and reviewing all possible comparables to determine those which are the best indicators of a comparable sale. Do real estate appraisals expire? My sales contract is contingent upon the appraisal. What does that mean? An appraisal contingency protects the buyer by giving them an “out” of the contract should the home not appraise (i.e. the value of the home comes in lower than the sales price). Example: if a property is under contract for $300,000 and the appraisal comes in at $290,000, then the buyer has the option (in addition to other contingencies) to exit the deal and recoup any earnest money. Does an appraiser need access to my roof? No. Only home inspectors would be required to physically examine the roof. If they believe that a roof may need additional review they will notate it on the appraisal report. If the appraiser finds that the roof may not be in acceptable condition, they will be required to note it within their report.